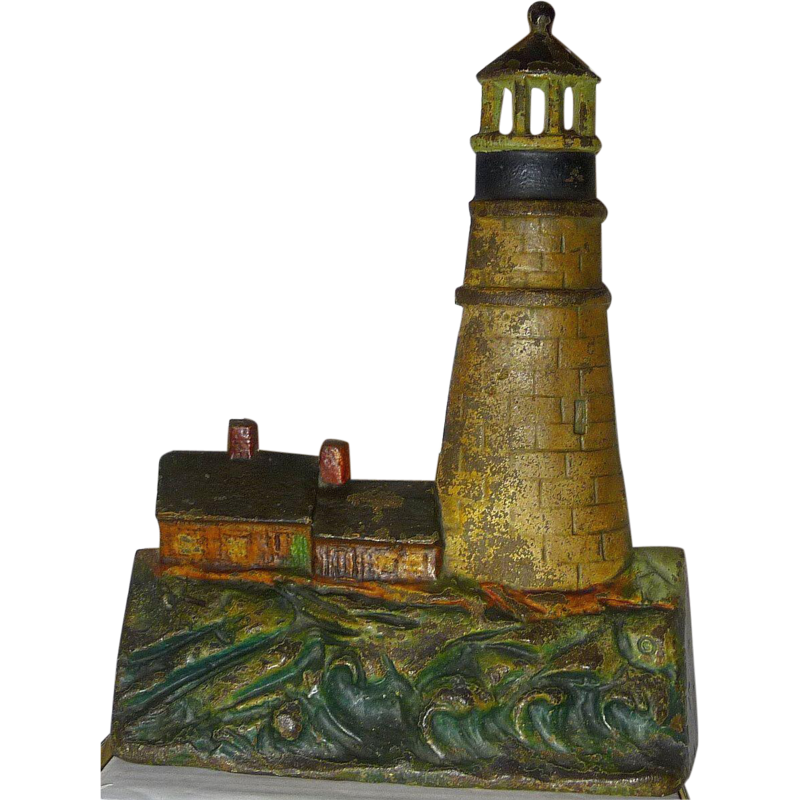 Depicts two cottages sitting beside a lighthouse high above the sea. 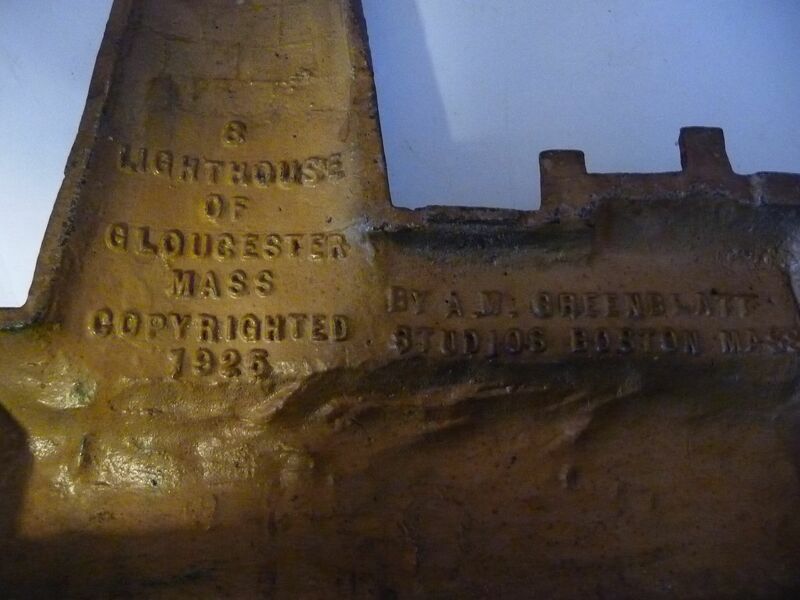 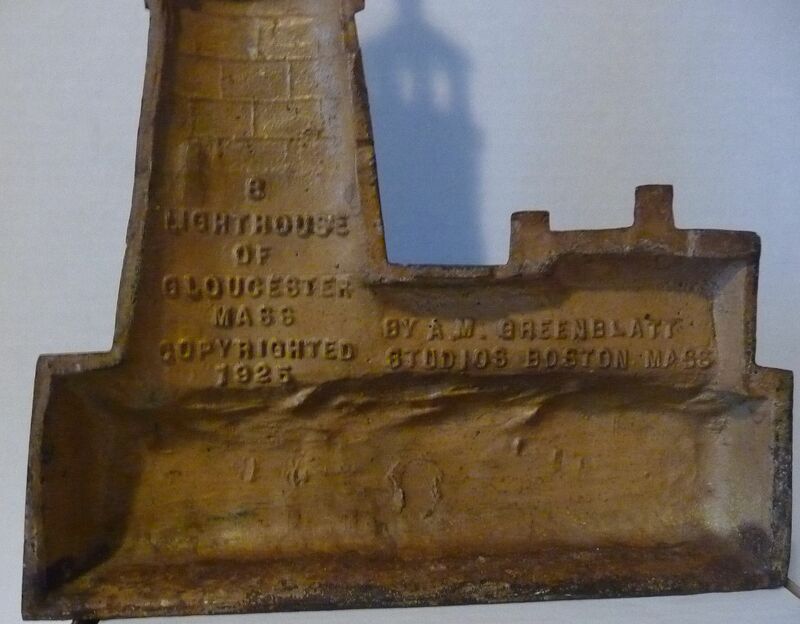 Possibly 'Ten Pound Island' Lighthouse as it is the most historic & is located in Gloucester Habour. 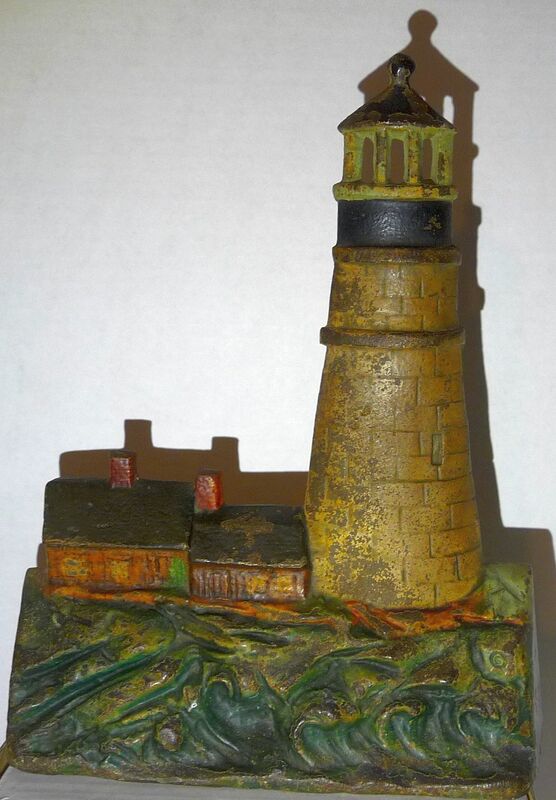 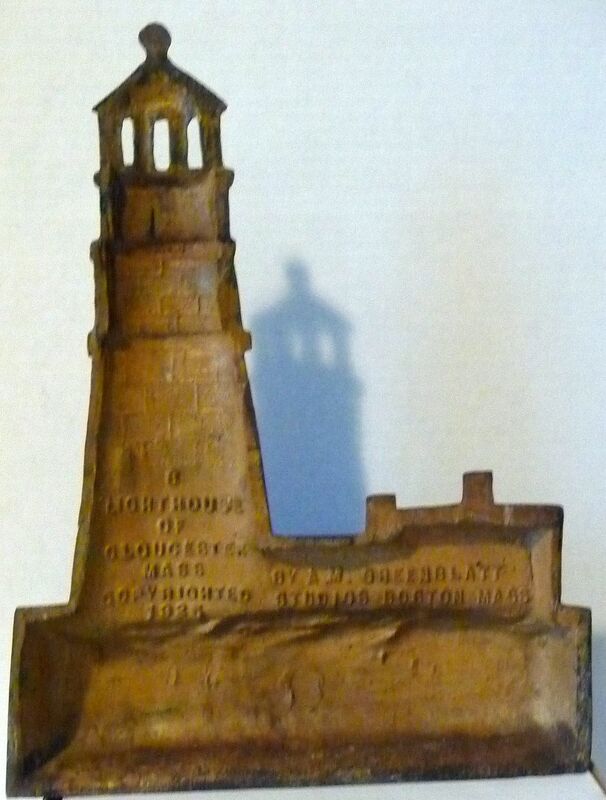 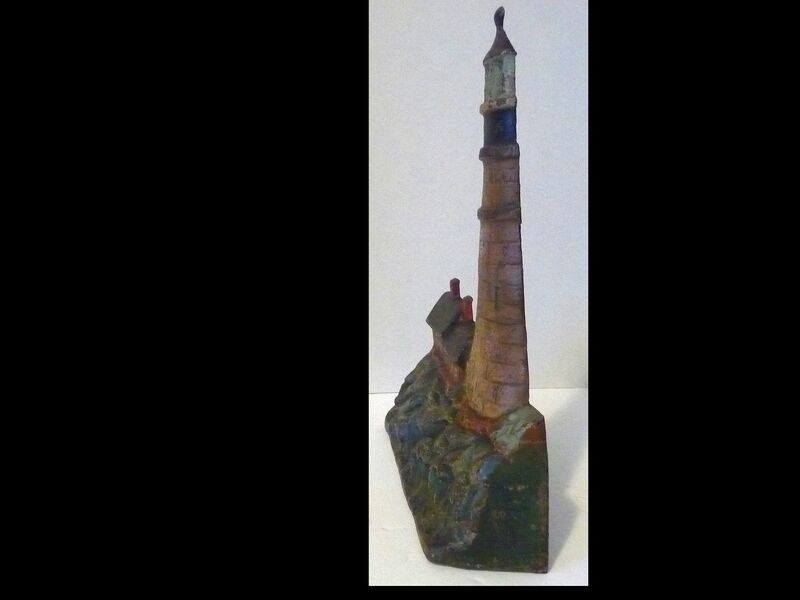 It could also be depicting Eastern Point Lighthouse built 1832 on Eastern Point Boulevard. 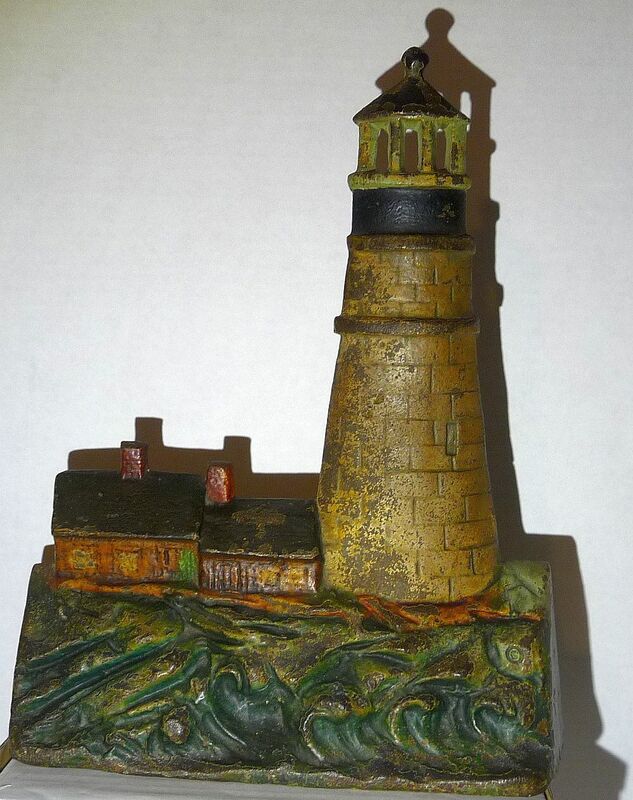 Approximate Dimensions: Height 11 1/2" Width 9", Depth 2 1/2"